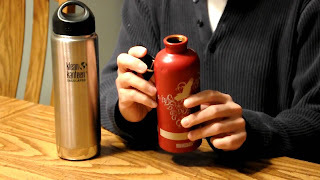 Q&A: if I want to avoid leaching and all that BPA stuff, should Ichoose a SIGG, Nalgene, or Klean? Home » Stainless Steel Bottles » Q&A: if I want to avoid leaching and all that BPA stuff, should Ichoose a SIGG, Nalgene, or Klean? I want to avoid leaching and all that BPA stuff, should I choose a SIGG, Nalgene, or Klean? Well, good question. You can avoid BPA through all those brands but there are other compounds to take into consideration, as well. SIGG, from my understanding, doesn't make a "stainless steel" bottle; it's aluminum. Aluminum, just like BPA, has been considered an endocrine disrupting chemical (EDC). Of course, it won't bother you unless you chip little shards of aluminum from the bottle and drink it but that's what SIGG has going on. Nalgene and Klean both make stainless steel bottles. 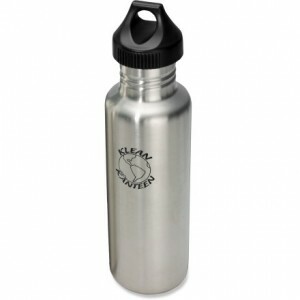 You could go all out and get Klean's stainless steel bottle with a stainless steel lid. That way, you can rest assured that you've covered your bases and need not worry about any EDCs. Personally, I have a stainless steel nalgene (guyot designs) that I got on sale. The lid is plastic but it was too sweet of a deal and I really don't think it would affect me that much. I do have a BPA-free plastic bottle from thermos that is just too convenient. Not saying the stainless-steel isn't convenient, but I reserve that more for camping; if necessary, I can boil water with my stove in my stainless steel nalgene. Definitely something I couldn't do with plastic. So this isn't very organized but Pthalates are chemicals used in making plastic bottles that are BPA-free. And there's concern as to their effects. I should say that you shouldn't worry about these chemicals leaching unless you microwave or let them bake in the sun repeatedly. Also, these chemicals, especially BPA, don't have the same effect on adults as they do children or a young embryo. If you're seriously interested about learning more, I've attached a journal article that should shape the concepts being thrown around here. Kinda give you an idea as to what is actually going on. :) Along with that, I'll attach a youtube vid of a reproductive ecotoxicology scientist rapping about his research with frogs being feminized by a worthless herbicide called Atrazine. Organization versus activation: the role of endocrine-disrupting contaminants (EDCs) during embryonic development in wildlife. TO ultimately answer your question. Stainless steel, no matter the brand, would be the way to go. Just remember that SIGG is aluminum, which I would rank far worse than BPA. google aluminum and endocrine disruption.